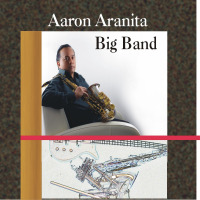 Jazz Saxophonist and Pianist Aaron Aranita a professional for 30 years has recorded three CD’s of original jazz compositions since 1987 to the present. 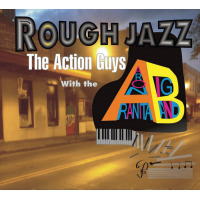 He has written more than 100 jazz compositions and is currently writing and arranging for an up and coming Big Band CD recording on Sugartown Records. Other Jazz artists recording his compositions are Saxophonist- Paul Fleisher and Harvey Thompson ( “Bird Is The Word”). In 2001 Aaron Aranita and Eastbound released “One Day”, a CD of 14 of Aaron’s original tunes . In 2005 He released “Don’t Stop The Feeling” with guest trumpet artist Valery Ponomarev. I have been privileged to review two CD’s by Hawaiian multi-instrumentalist Aaron Aranita on this site. This latest release contains tracks from the “Eastbound” CD, together with sessions recorded in 1989 and 2004/5, and is a musical resumé for this talented guy. The pretty latin dancer Jazzamba is a fresh opener featuring some lovely clarinet work. In some parts the timing is not rock-solid but that just seems to reinforce the “live” feel which adds to its charm. I feel like I’m hearing two trumpets here �� and they’re both fantastic. A flute plays and I’m captured. Dance, dance, dance! Kekaha is a funky instrumental which again has a nice, loose “live” feel. I especially like Anthony King’s drumming on here and also Bill Valaire’s jazz-rock guitar solo which in a way shouldn’t work but which fits perfectly. The same very natural feel is there on You are a Dream. This beautiful ballad is from one of the later sessions and the dreamy sax is augmented by superb piano and very well chosen string samples. I found the drum sound on Never Say Never and the multi-tracked sax a little tiring. Yes, the carnival atmosphere is captured but there is so much going on I find it hard to get involved. Aranita brings the clarinet, sax and flute alternately to the fore on the lilting and lovely Where the Wind Blows. This has a romantic and old-fashioned feeling and I can imagine this on a movie soundtrack (oh, here he goes again about movies…). I’m not convinced that the sound balance is completely right here - maybe if the percussion were lower in the mix and the rhythm guitar more forward the whole thing would hang together just a little better. The sax on Deception sounds a little too live if that’s possible. It’s not an easy sound to get to grips with, but the vibraphone sound is great. Once we get to the Caldera-style jazz-rock breakdown I’m hooked! It’s an intense song. For my comments on the funky Is it You, see my review of “Eastbound”. Listening again, the bright synths and drum programming could only have come from the 1980’s. The song avoids sounding harsh though and I love the chord progressions. Ulterior Motives is a very energetic jazz-rock workout from 1989 and I could draw parallels with Caldera and other very technical bands such as Casiopea and Mezzoforte. Sax and piano are blazing on this crisp, busy instrumental. Victor Gonzalez on bass and Anthony King on drums forge a rhythm section that leaves you breathless! For my comments on the songs Far Eastern Standard Time, Sugartown and Eastbound, please refer to my “Eastbound” review. To close this varied set, the bright and upbeat Don’t Stop the Feeling is a nice choice. I wish a real guitar had been used in the intro but once the song gets rolling, the solid bass and a very snappy snare drum keep things moving while sax and keys swap solos. The horn works better than the keys for me �� I’ve realised that I’ve become a fan of Mr Aranita’s superb, clean tone. As a chronicle, a “where am I up to now?”, this set is very successful. It’s interesting in that it shows how the contemporary jazz idiom has changed in just less than 20 years but, more importantly, it shows how this multi-talented Hawaiian jazzman has progressed in every area. Once again, I find myself apologising publicly to Aaron for the time I have taken to write this review. I’ve read that more new music is on its way and I’ll be very excited to hear it. Chris Mann - www.smooth-jazz.de This cd is for those who are looking for a taste of retro with a hint of Brazilian influenced jazz. “Don’t Stop the Feeling” is a collection of sorts. It spans the years of 1987-2005 and includes several tracks from Aranita’s “Eastbound” album. All 14 tracks are original music by Aranita. Since I had never heard of him, this project was a great introduction for me into his music genius. Aaron Aranita is a superb alto and soprano sax player who even dabbles a little with flutes, keyboards, programming and clarinets. The music covers a wide range of moods due to it spanning three decades. Listeners are given the opportunity to sample different styles of arrangements, which include fusion, contemporary and smooth style of jazz. Even though it took over 17 years to get this project put together, everyone’s playing on the music sounds fresh and dynamic. There are many talented guest musicians with notable mention going out to Valery Ponomarev on trumpet and Peter Horvath on keyboards. All About Jazz musician pages are maintained by musicians, publicists and trusted members like you. Interested? Tell us why you would like to improve the Aaron Aranita musician page.